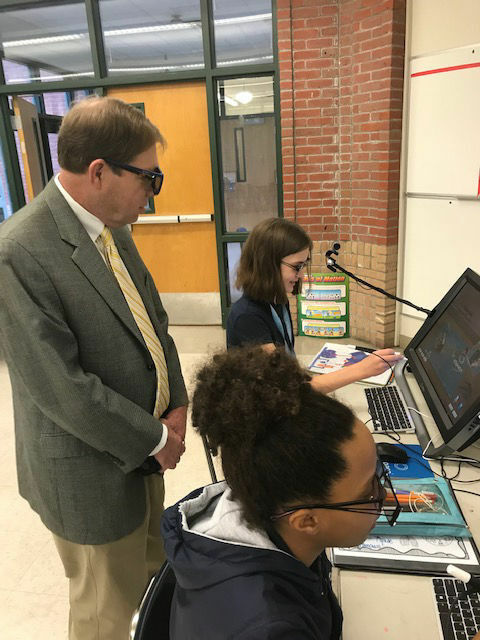 Barry Erwin, executive director of the Council for a Better Louisiana, visited schools in West Feliciana to see the STEM program at Bains Lower and the zSpace virtual reality lab at West Feliciana Middle School. Both STEM programs are considered among the firsts in Louisiana. "Teaching STEM at Pre-K is not heard of in our state, and we are so pleased at what our STEM programs are doing for the students of West Feliciana. zSpace is a game changer for education as students have a new way to experience learning," West Feliciana schools Superintendent Hollis Milton said.